Here is my most recent painting. It is a reproduction of a wedding portrait of my Grandparents (mother's side). 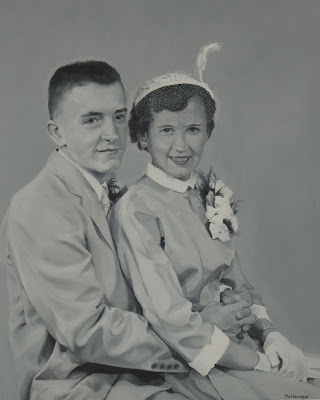 I, in the near future, intend to do a painting of my other Grandparents wedding as well. The slide isn't great but it's enough for now. i really love wedding., you are a great artist! Thanks very much! It's always good to hear what people have to say.